The Utah State Library works to develop, advance, and promote library services and equal access to information and library resources to all Utah residents. As part of the 150th anniversary of the completion of the Transcontinental Railroad, the Utah State Library Division developed a library reading list and toolkit with books, banners, bookmarks, and pencils. Find these resources at a participating library below. Modern Marvels: Trains That Tamed the West. A&E. 2005. This television documentary tells the detailed story of what it took to complete the world's largest transcontinental railroad, the people who made it all possible, and how it redefined both the nation and the state of Utah. The Transcontinental Railroad explores the events, ideas, and people that contributed to the railroad –– one of the greatest engineering feats of the nineteenth century –– before, during, and after construction. Join the Union Pacific Steam Club to get the latest news and scheduling information about Union Pacific’s legendary steam train program! You'll get notifications of all No. 844 and No. 4014 train schedules, tour stops and other excursion-related activities. Read and interact with the history of the Transcontinental Railroad and the United States. Created by the Utah Division of State History Antiquities program, this story map offers historical context on how the construction of the railroad was such a watershed event for Utah and the American West. Produced in partnership with Spike 150. Read more about the history of the Transcontinental Railroad and when it was completed. More information about the Golden Spike and upcoming events at the park. Explore the history of the Transcontinental Railroad with pictures and other resources from the Library of Congress. Read more about the Golden Spike 150th Anniversary Act and what it means for the future of the railroad. Learn more about Utah, the home of the Golden Spike, and its founders. Want to know more about the history of railroads in California and the entire West? Want to learn more about railroads but don't know where to start? This research guide provides helpful information and resources. Read more about the creation of the Transcontinental Railroad and what it meant for the future of America. 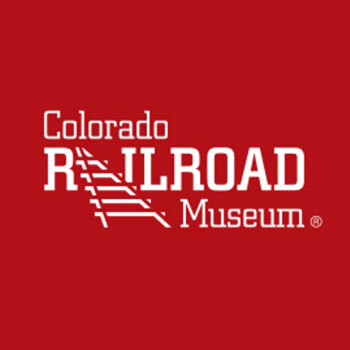 For more information about the history of railroads in the West, visit the Colorado Railroad Museum website. Interested in how Utah is preparing for the 150th anniversary of the Transcontinental Railroad?